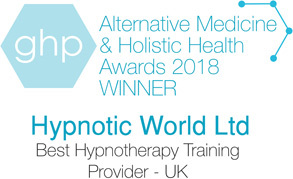 With Hypnotic World's comprehensive, easy-to-follow courses, you can learn hypnotherapy in your own time with the guidance of an experienced tutor. Our courses equip students with the confidence and skills that are essential to helping clients with a wide range of issues. Our experienced hypnotherapy trainers have been helping students to become hypnotherapists since 2000. We offer distance learning and classroom-based courses to suit the needs of every student. 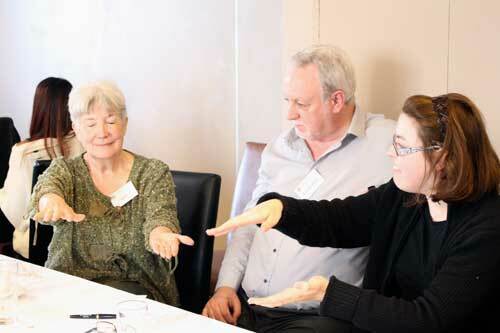 Renowned for our support during training and our after-support services, we host regular training workshops around the UK and thousands of therapists around the world use Hypnotic World resources in their everyday practice of hypnotherapy. "Many thanks to Faith and all at Hypnotic World. The structure of learning the modules was ideal to fit into my hectic life. I attended various workshops put on by Hypnotic World and I've considered them to be a must in my training. I'm really excited to be able to help future clients with their problems." "I've really enjoyed studying with Hypnotic World. It's been great to work at my own pace with no pressure for deadlines, so it fits around any lifestyle... I've learnt so much and come so far and best of all now feel I'm ready to help others and I can't wait to start on my hypnotherapy path! Thanks to Hypnotic World for giving me the knowledge..."
"I thought the course was extremely well set, and paced throughout the modules. I enjoyed working at my own pace alongside my job. The fact there were no deadlines was great for me again with working full time... Faith was fantastic at marking and always got back to us in no time and was always there to ask advice." "I was so happy to discover Hypnotic World not just because of studying remotely in my own time but the fact that it is affordable and the support is outstanding. I am excited to have passed and look forward to taking the next steps to start practising and helping people again. In the meantime I highly recommend the course and workshops"
"I thoroughly enjoyed this course. It was nice to be able to complete each module in my own time and not be pressurised by deadlines. I am so glad that I chose Hypnotic World to train with and would 100% recommend it to anyone thinking of training to become a hypnotherapist." Have questions regarding hypnotherapy? Wondering how to choose a training course that meets your needs? Our knowledgable staff are here to help. Contact our helpful support team today - call us on 0800 678 5617 or (01302) 786977, or email support@hypnoticworld.com.